Recisio's number one MP3 intrumental download service, Karaoke Version, has just released its newest mixer. 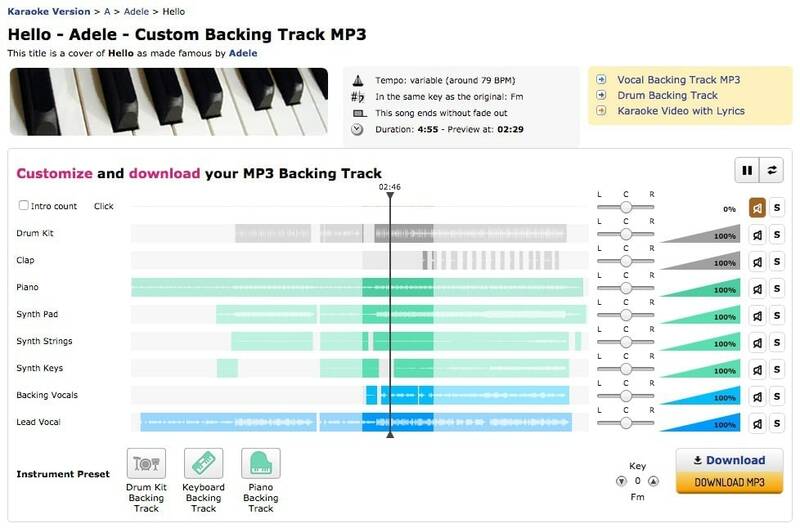 Completely redesigned, singers and musicians can now create and download a completely customizable track. New features include panning, key change, one-click muting and more.